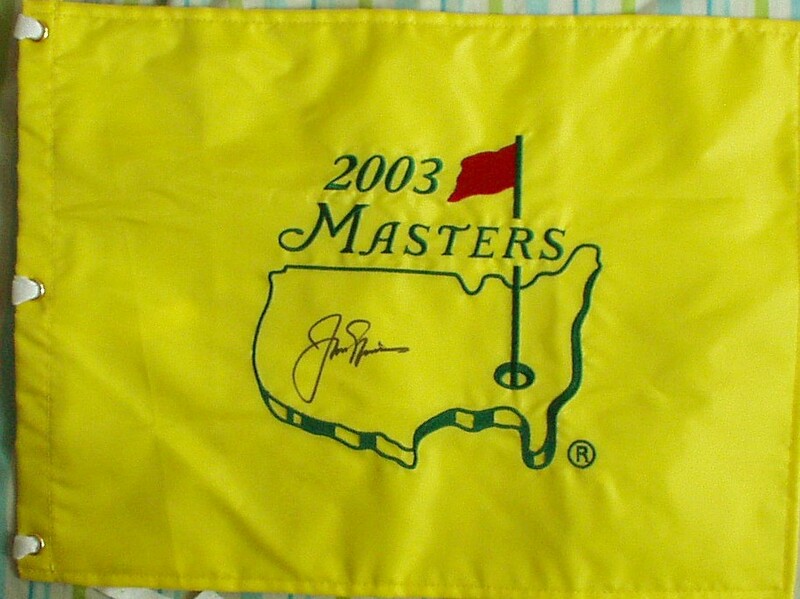 Official 2003 Masters golf pin flag autographed in black marker in the center of the map by legendary golfer and six time winner Jack Nicklaus, who often refuses to sign Masters items. Obtained in person, with certificate of authenticity from AutographsForSale.com. ONLY ONE AVAILABLE FOR SALE.